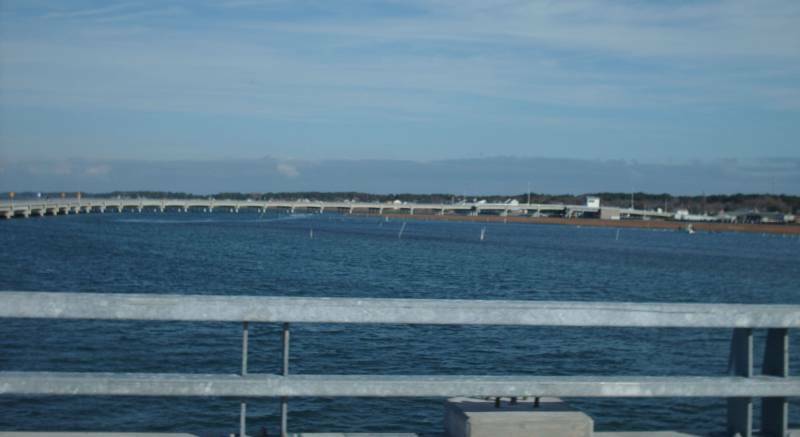 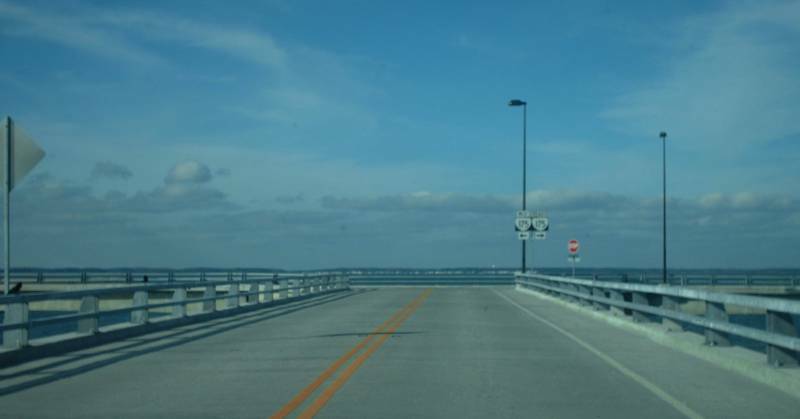 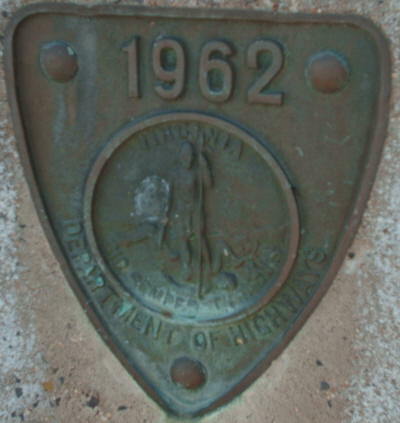 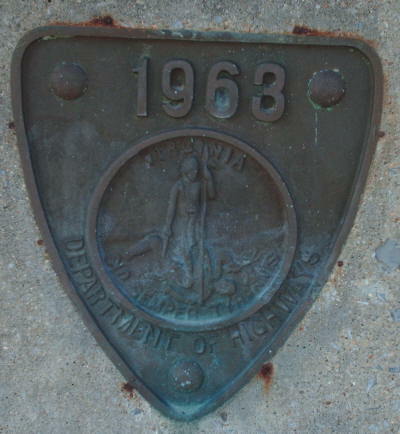 Location:Connecting road over James River, between the James River Correctional Center to the Powhatan Correctional Center. 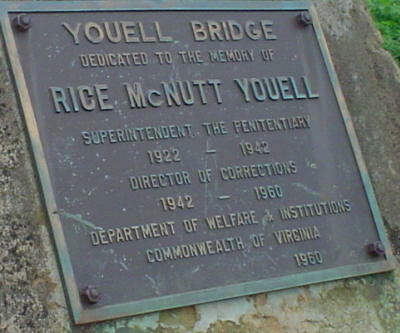 This is NOT part of VA 310, which serves part of the Powhatan Correctional Center. 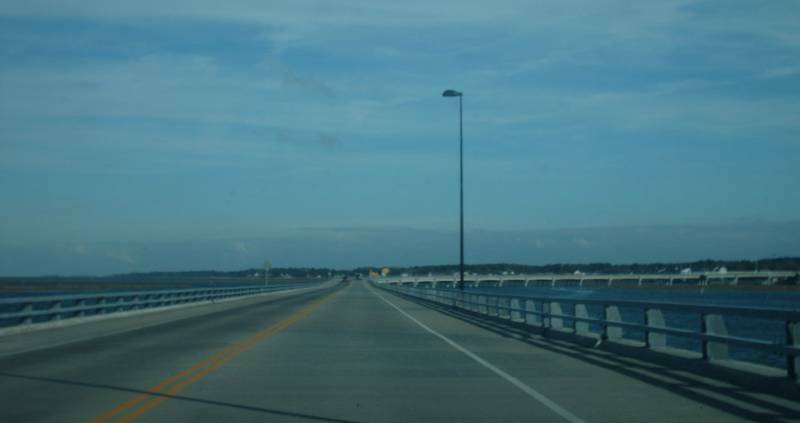 Notes: The bridge is one lane wide and uncontrolled. 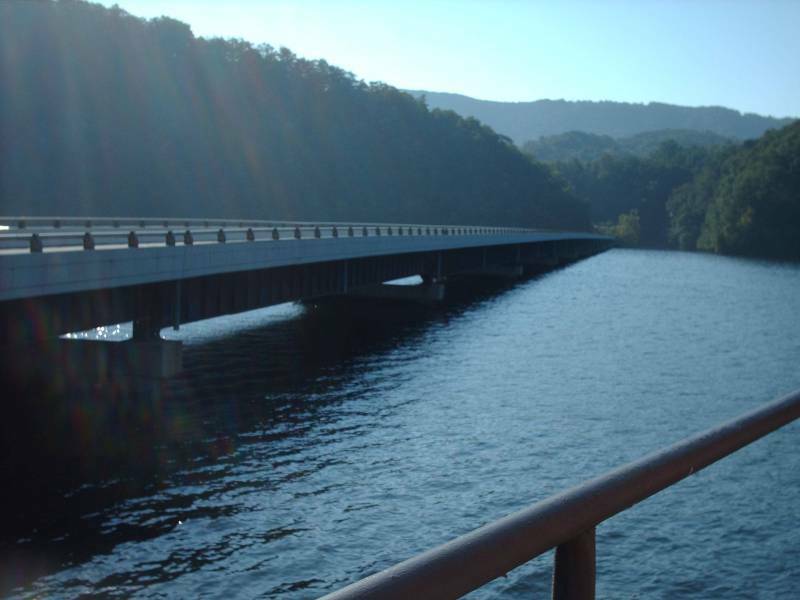 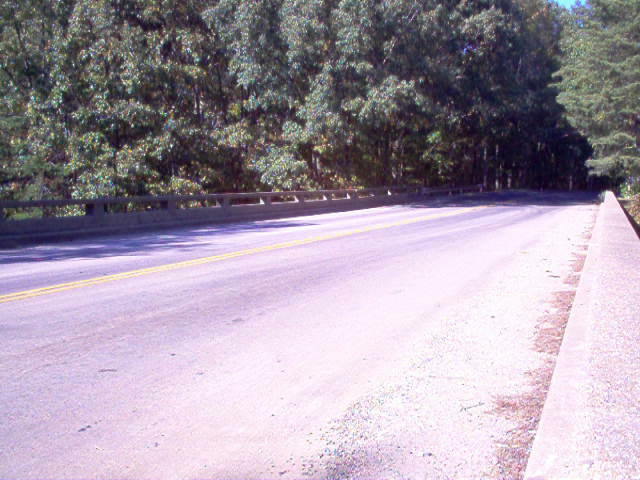 This is only the second example I know of this one-lane low bridge crossing of a major river in Virginia. 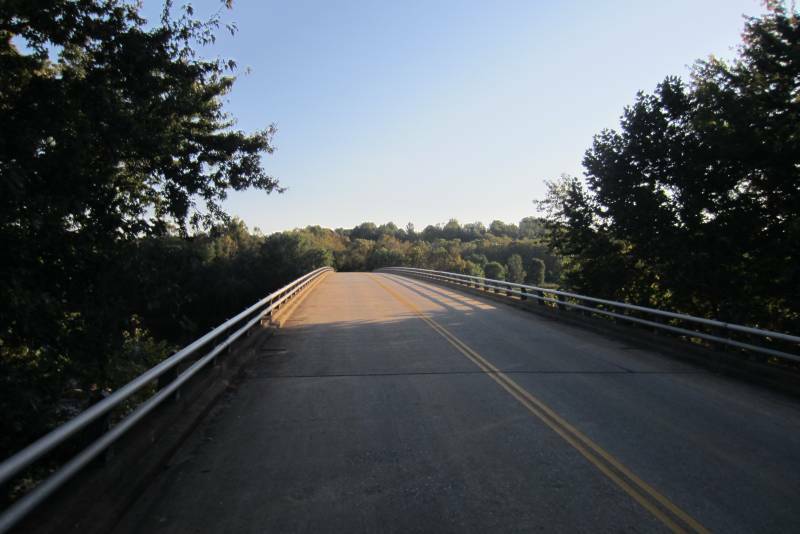 The other is on SR 624 over the Shenandoah River east of Front Royal. 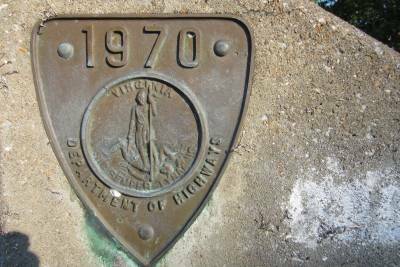 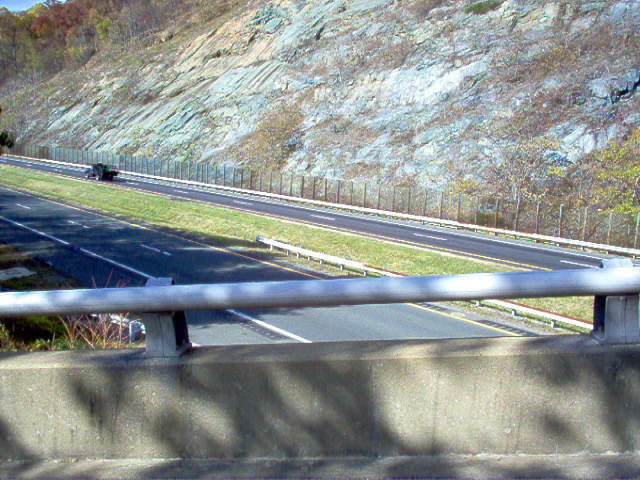 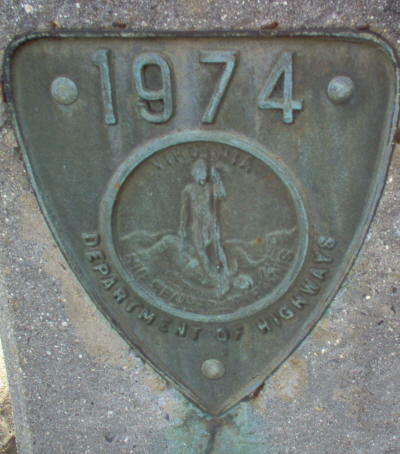 Notes: SR 670 was once VA 231 which was supposed to cross the mountain to Page County at one time. 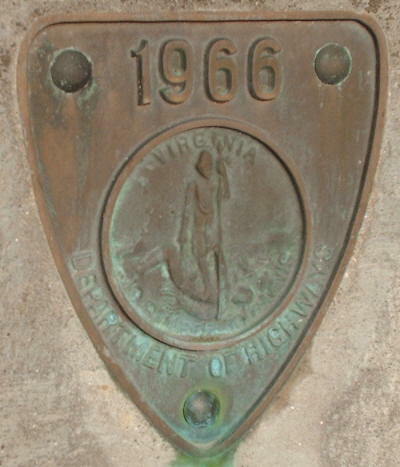 Notes: SR 613 was once the original route of VA 3 in the early 20s. 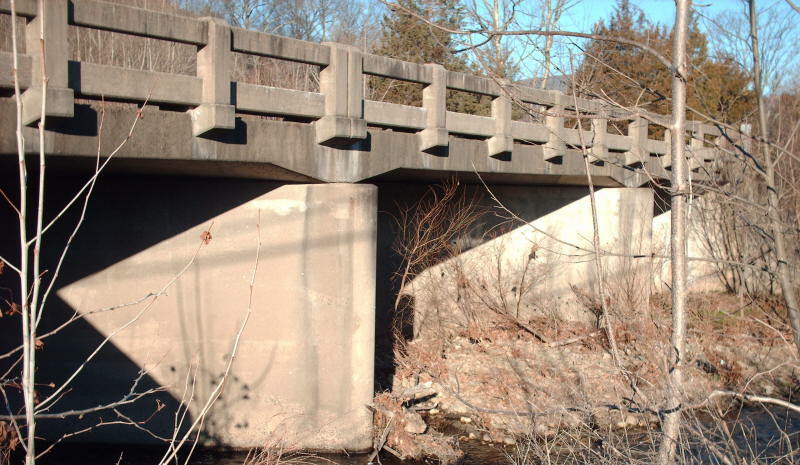 Notes: This is a modern one-lane bridge. 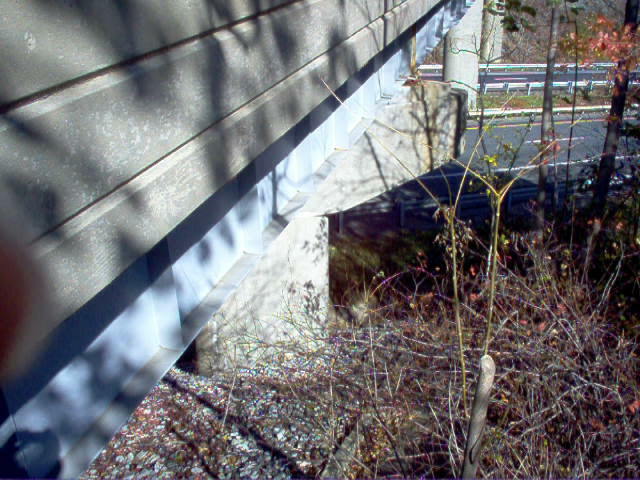 F-182 connects US 250 to a private property that was cutoff by the interstate. 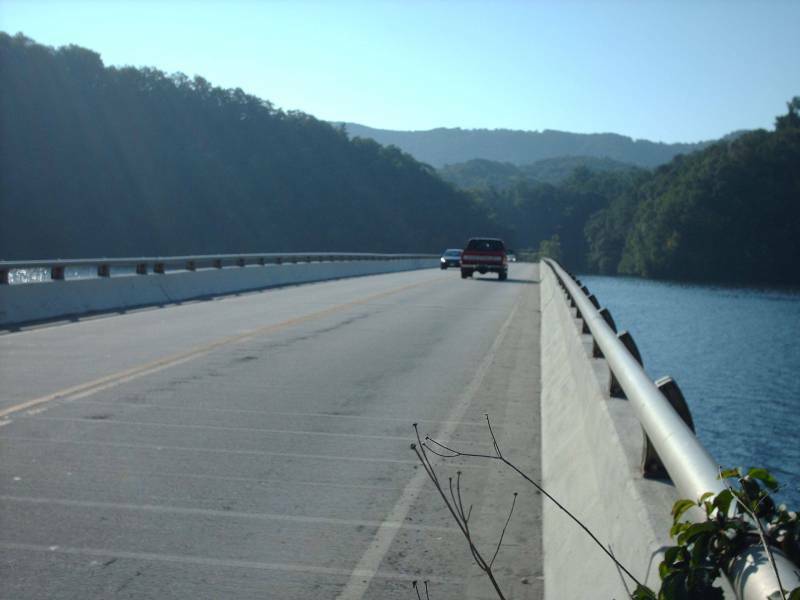 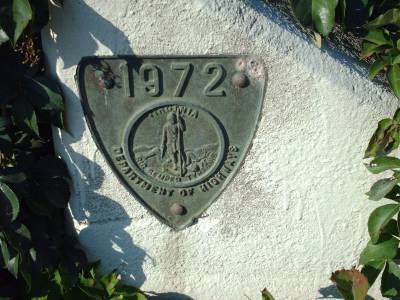 Notes: Fred Picard noted: The original bridge was destroyed by Hurricane Camille in 1969. 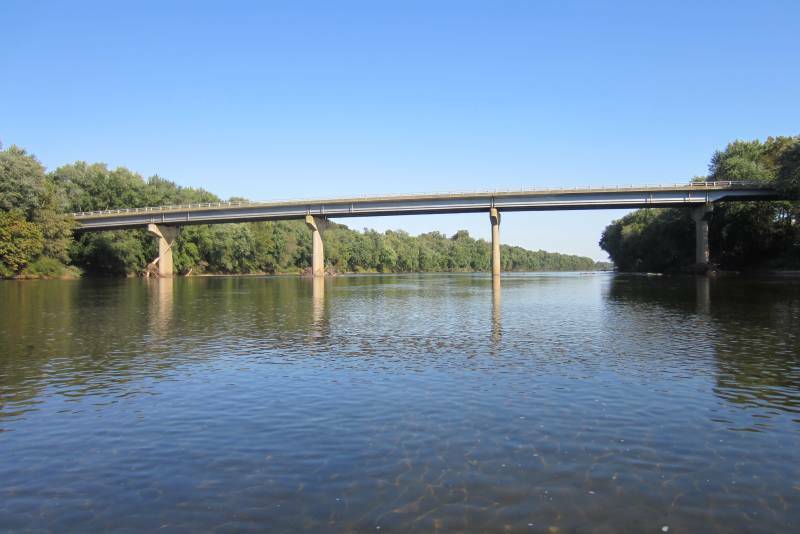 A woman in my office lived in Columbia at the time and she vividly remembers the sound of the steel groaning as the river twisted the superstructure and carried the bridge away. 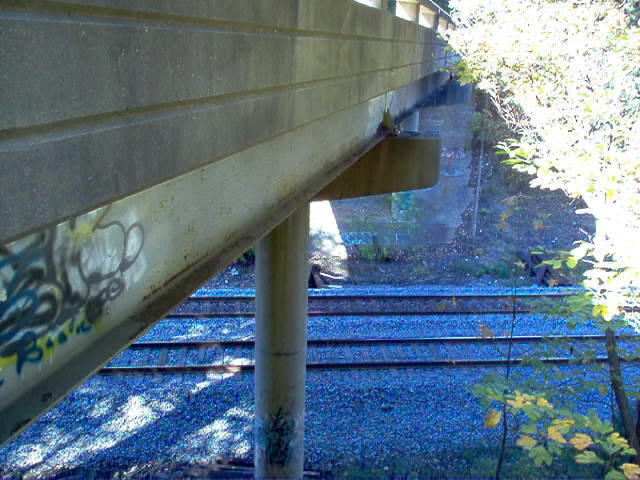 Notes: A lovely setting. 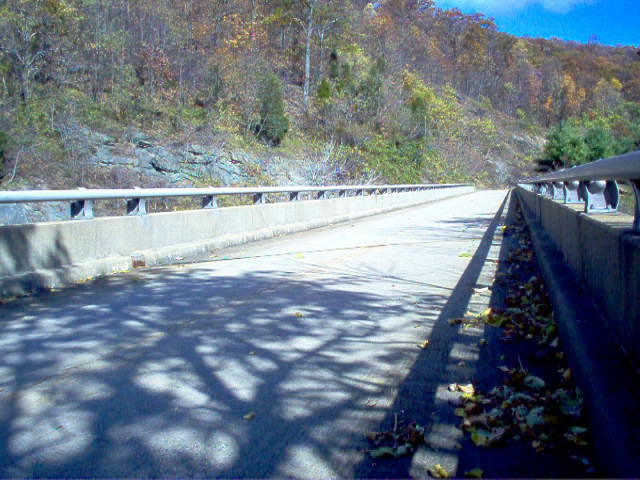 The previous time I had crossed this bridge the river was heavily iced over and I wish I had stopped and taken a picture of that. 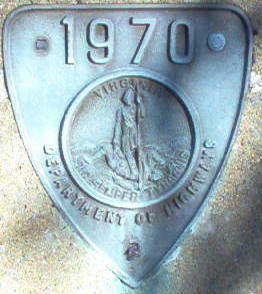 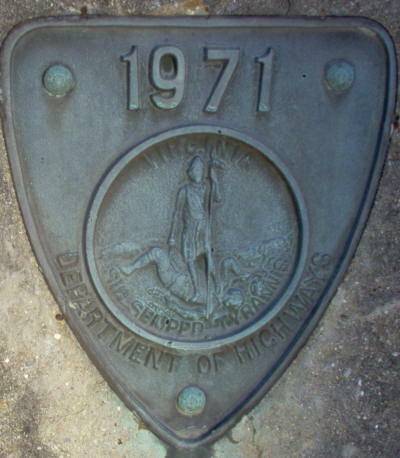 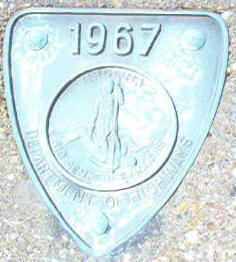 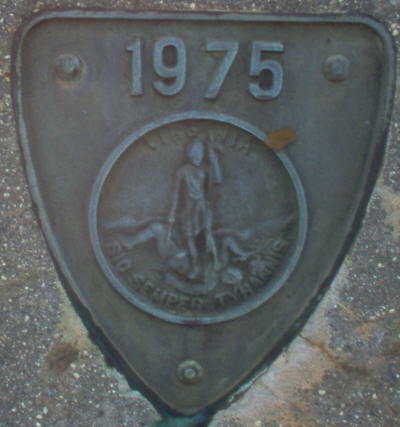 Notes: 1976 appears to be the first year Virginia did not use shield-shaped date plates. 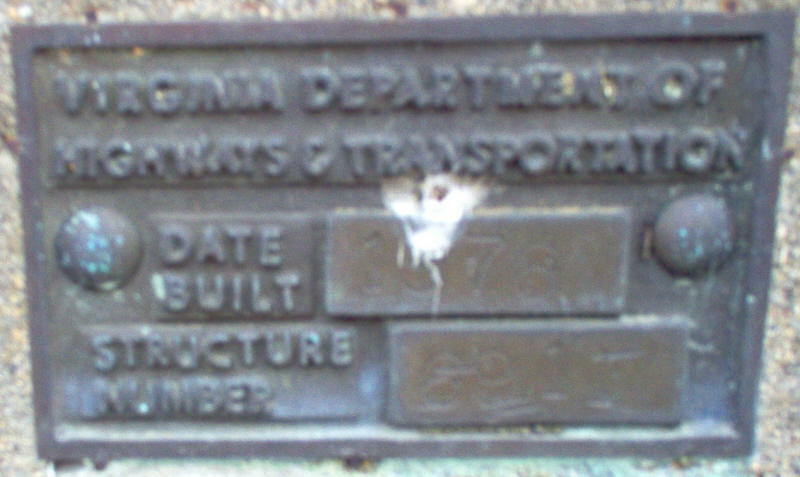 The date was very difficult to see in person and the photo reflects this. 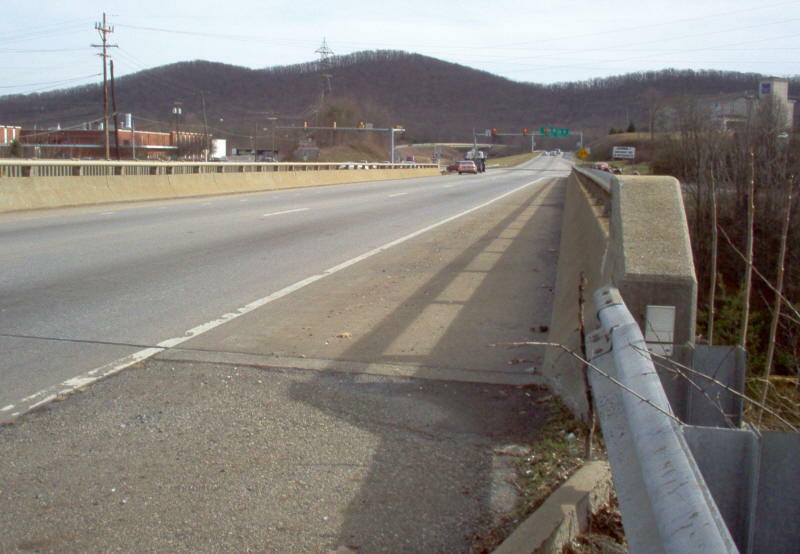 Also, in the northern half of Virginia, wood log railings exist on many bridges. 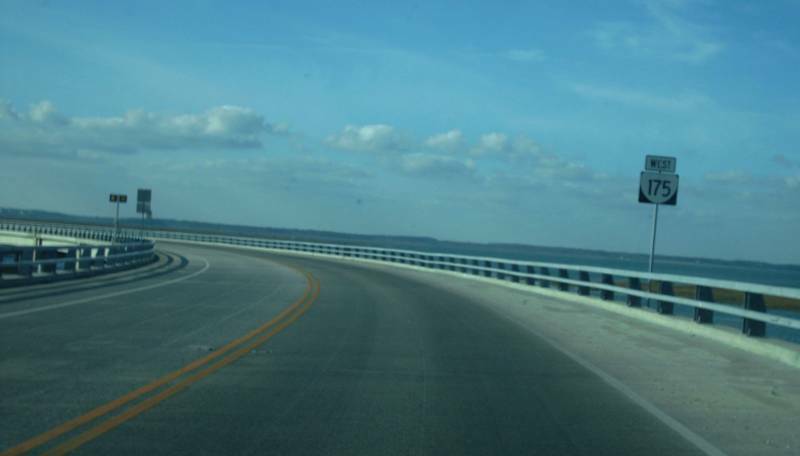 This is a longer bridge for this style railing. 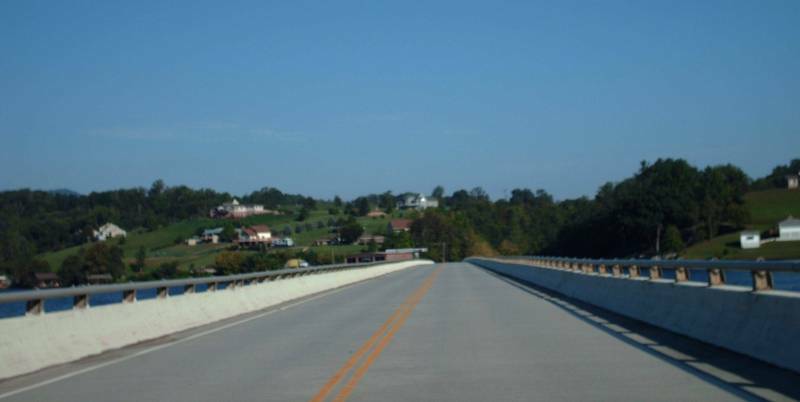 Notes: This is a brand new bridge on an extremely minor route (gravel, dead ends shortly) off VA 61. 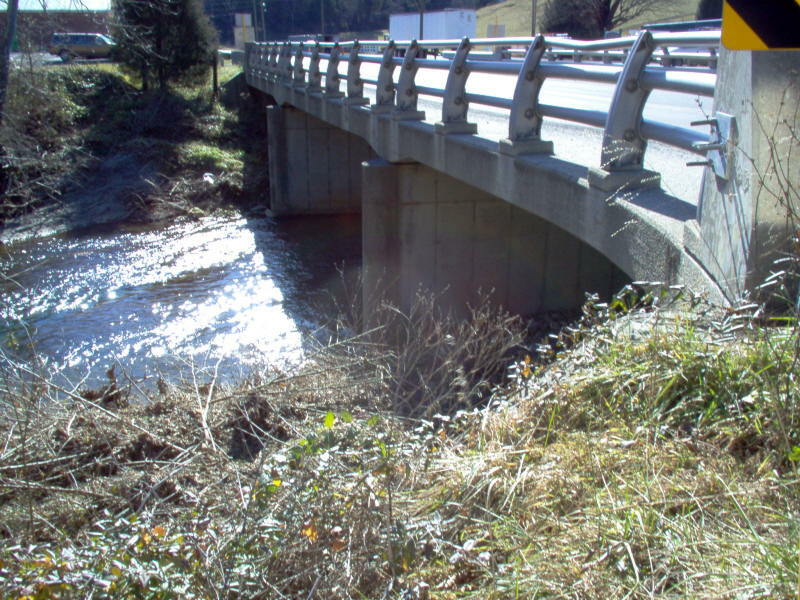 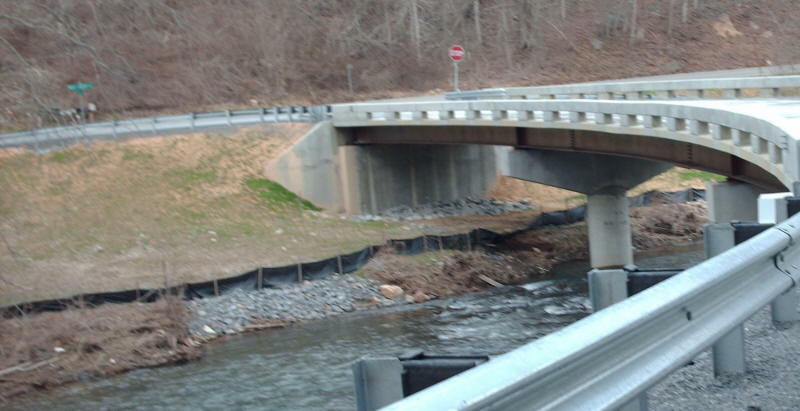 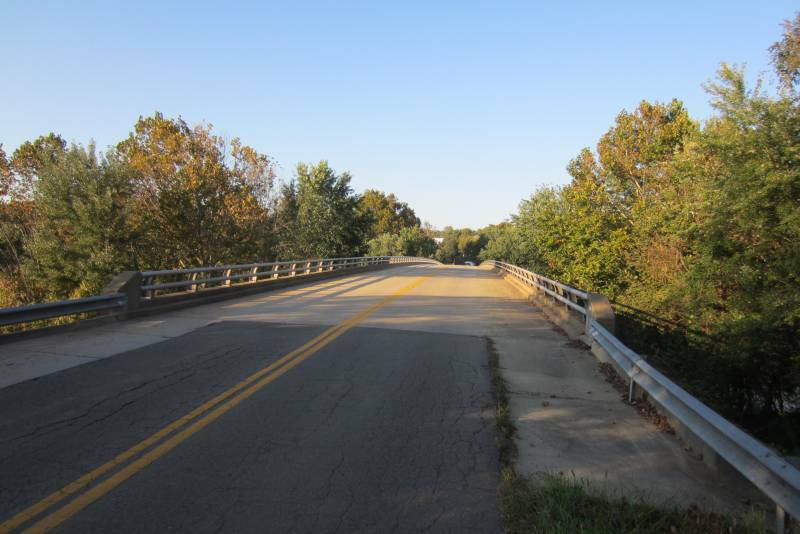 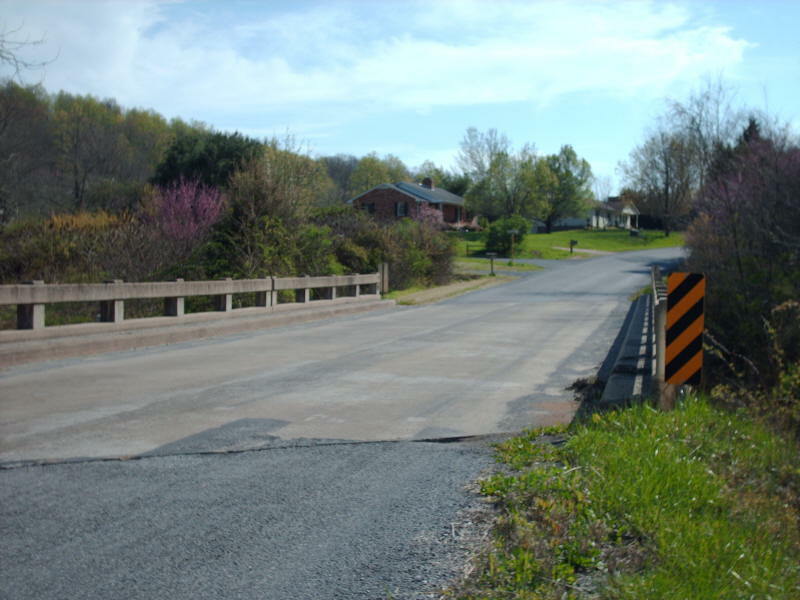 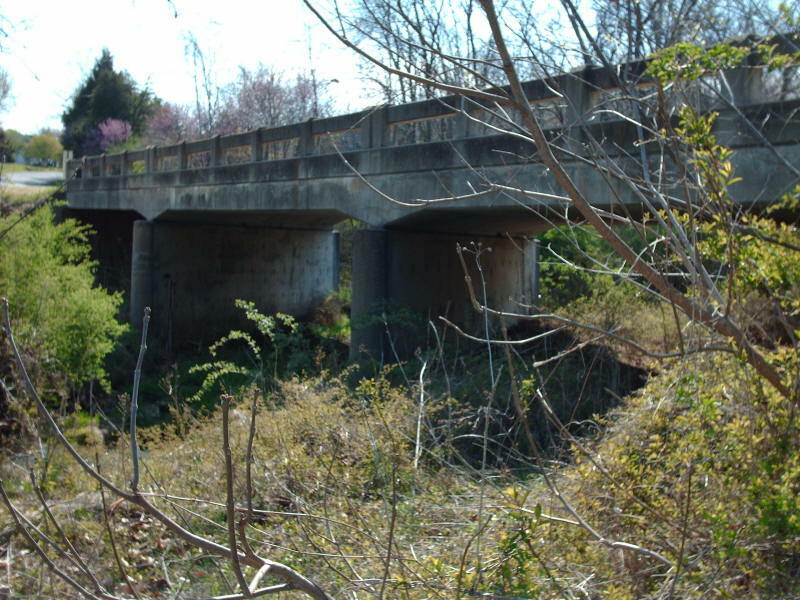 The last picture is the old 1932 bridge stacked alongside VA 61 near SR 644. 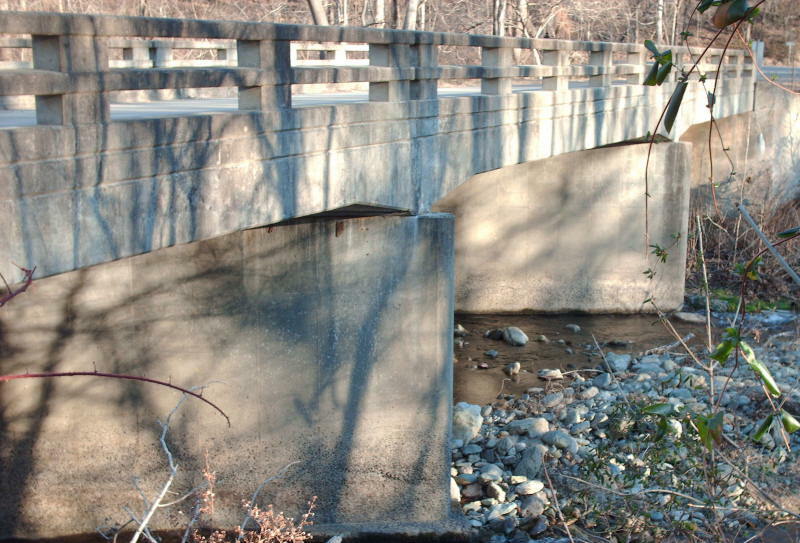 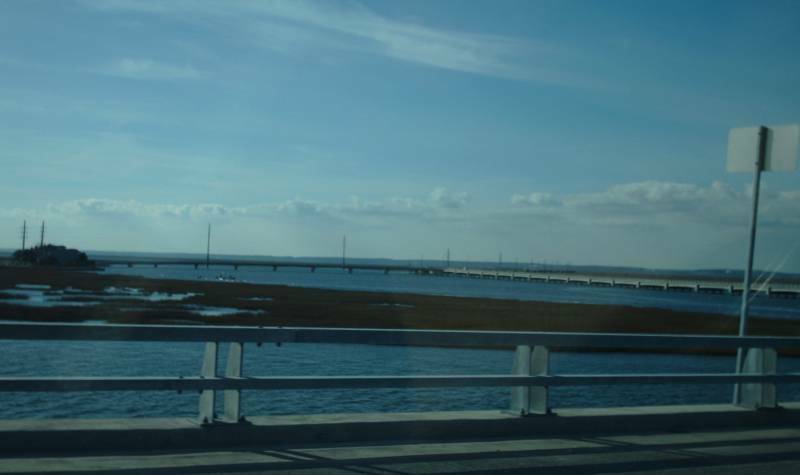 Notes: This is a long S-shaped bridge with a draw span at its eastern end. 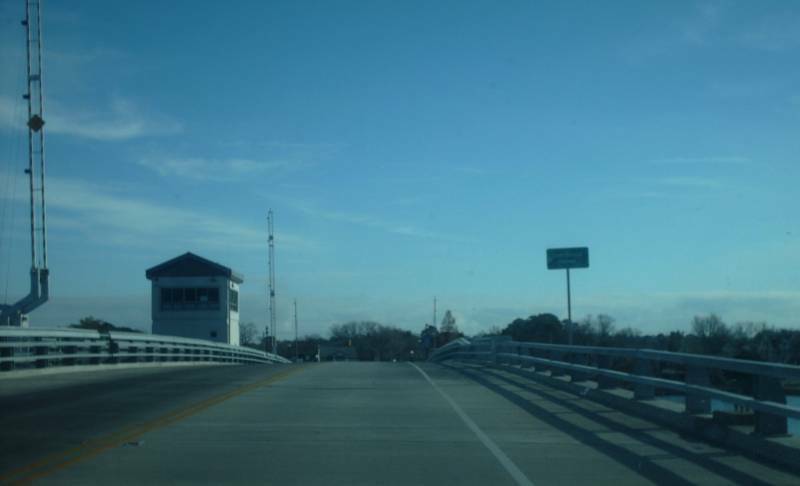 Near the western end of the bridge there is an intersetcion and a side bridge over to a strip of land with a few house that used to be at the west end of the old VA 175 drawbridge. 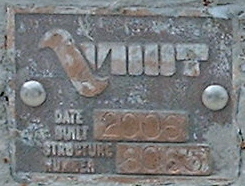 There was no date plate anywhere that I saw.